This blog has no point, no direction, no cause for being. Yet it exists. Kind of like a lot of things in modern life. 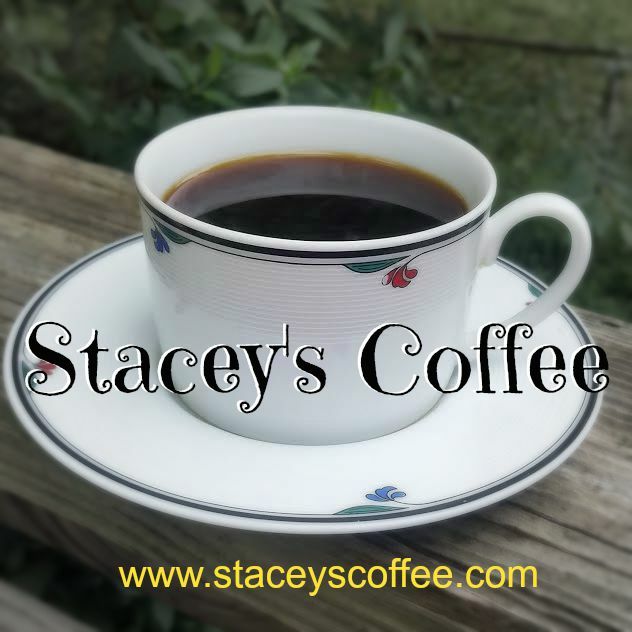 I started my coffee journey on this blog, but it didn't take me long to move it to a place just for the coffee in my life. 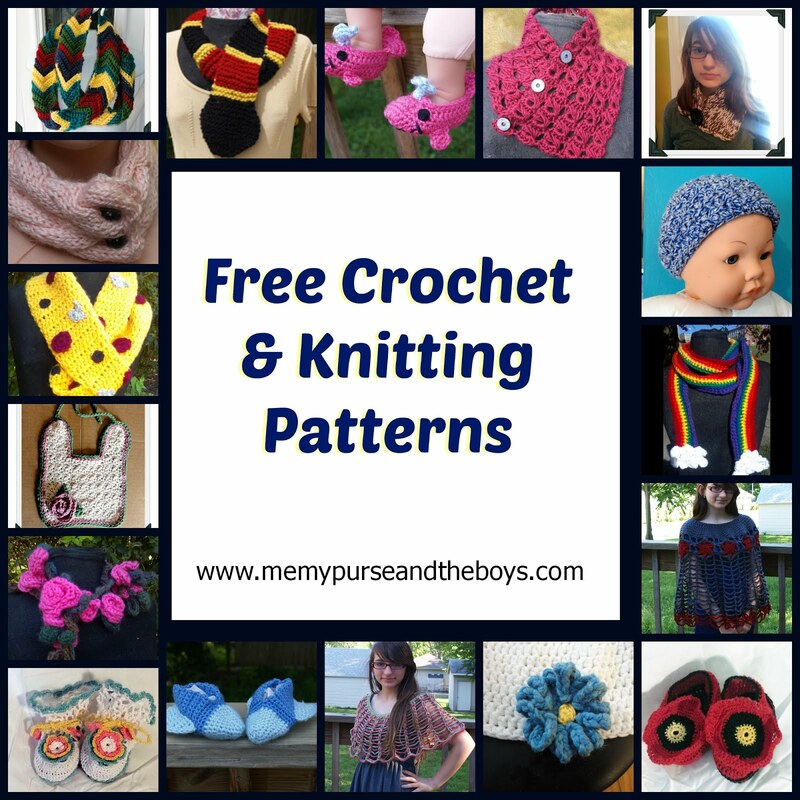 Of course I totally forgot to post a link here. 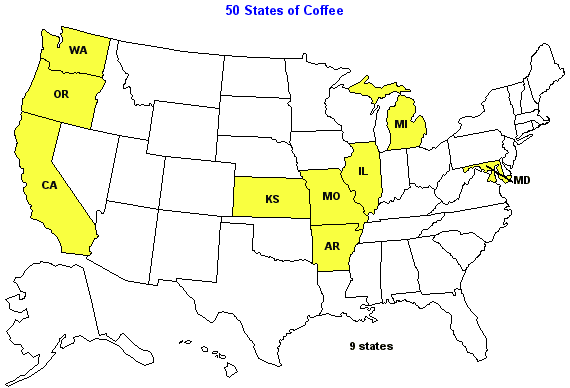 You'll find my map of the states I've enjoyed coffee from as well as links to roasters and my reviews of coffees I've enjoyed. 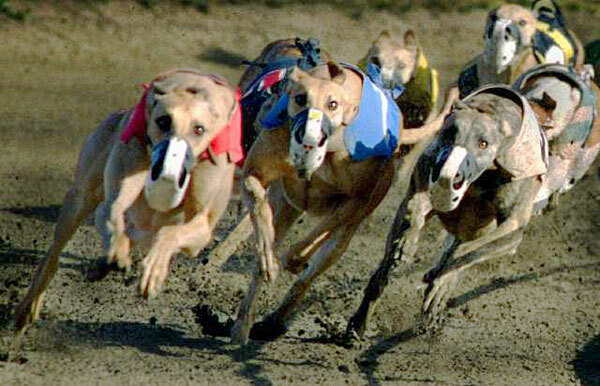 Greyhounds racing with muzzles on look like charging dinosaurs! 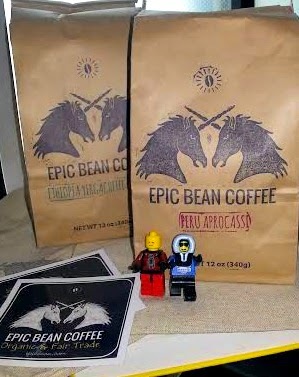 I am a huge fan of African coffees, but ordered the Peruvian anyway. 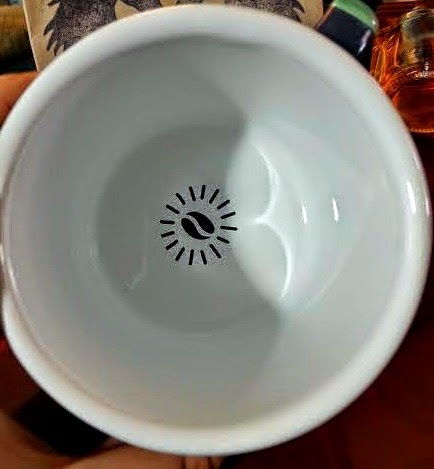 Sometimes coffee from the Americas is too bright for my taste, but I was having a moment, so I just clicked it. First - The shipping was fast AND they sent a tracking number. I'm obsessive about tracking packages, so that's a huge plus with me. My first thought was - Hey, Unicorns! 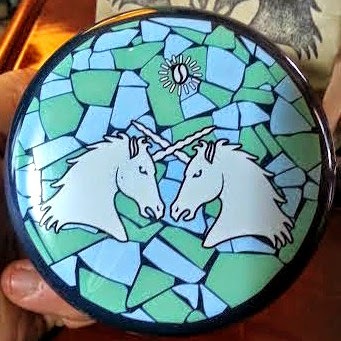 Not girly, Lisa Frank Unicorns, but the kind you might find on a coat of arms. Tough unicorns. 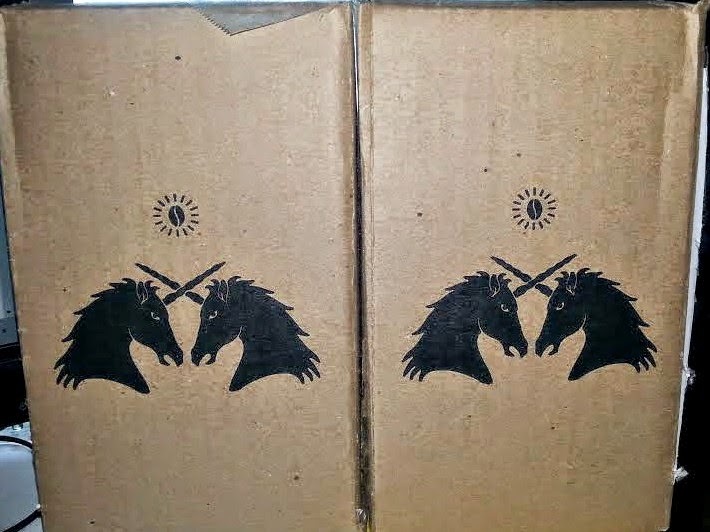 Inside each box was a bag, with more unicorns. and TOYS!!! I'm 48, but if you give me toys I will play with them. That's how the Epic Guys got their own section of the website. I also got a couple of stickers. I am getting quite a few coffee roaster stickers. Still trying to decide what to put them on. It has to be something that I will use, but not something fragile. I want to show them off, so it has to be something I take with me. I'm sure I'll figure it out eventually. Now the coffee. I have brewed this with my beehouse, kalita wave and Bunn. I prefer the beehouse, and that's how I drink most of my coffee. I did the Bunn because the husband wanted a lot of coffee one night. It was sweeter, with a hint of vanilla aroma. Think vanilla extract, not plain bean. Vanilla beans smell like playdough to me and this did not smell like playdough. It had a bright acidity, kind of like dancing on the tongue. The cocoa taste gave it a creamy body. I've seen Peruvian coffees described as having a floral aroma, but I don't know that I picked up on that. It did smell like really good coffee, some vanilla, a hint of nut, but not really flowers to me. It is a fantastic breakfast coffee. Goes well with my fruit that I have most days, also was great paired with a nutty oatmeal with fruit. Ok with eggs and sausage, but not the best pairing. Went well with my lunchtime salad that had spinach, goat cheese and peppers. I'm big with what coffee goes with what foods. Some just don't work for me. This one didn't overpower the lighter foods I eat during the day. 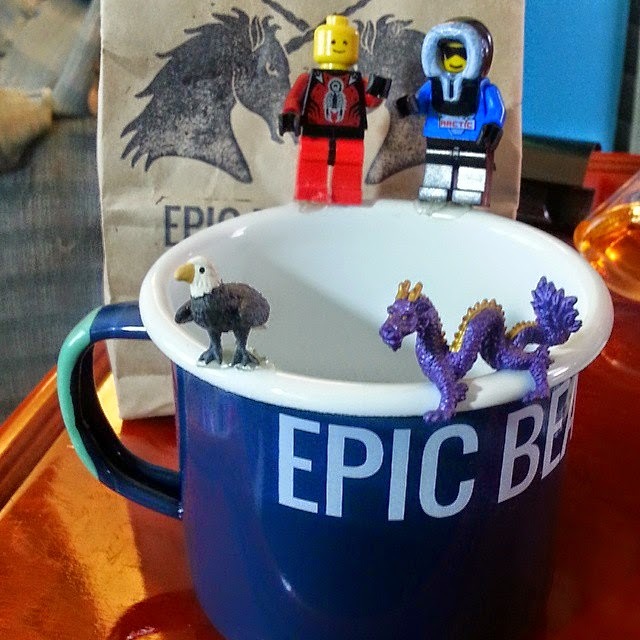 The Peru was not the only coffee I ordered, you may have noticed that from the photos. I did get some from Africa too. I do love Ethiopian coffees. This was was a bit heavier, not as bright up front, but it did have a brighter finish. Warmer is a good description. Slightly darker - in tone, not bean. The beans were not a dark roast, light medium to medium. I didn't pick up a blueberry taste like I have with other Yirg beans, but it was fruity. Sweet and winey with a hint of spice and richness, maybe a hint of citrus. Imagine richer fruit covered in milk chocolate that has been given a zest of lemon and you have a good idea of my impression of this. It went very well with my cheesecake. A decadent pairing. I know cheesecake isn't on my diet, but it was a nice treat and the Yirgacheffe really brought out the creamy taste. 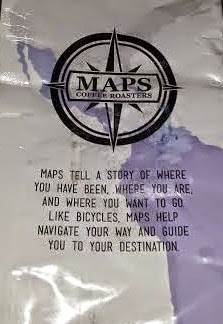 Maps Coffee is located inside a custom bike store in Lenexa KS. That's important because the owner/roaster - Vincent - is someone who lives his passion and it shows in his coffee He can tell you about the coffee and the roasting process and the roaster he uses. It's really fascinating and I plan to sign up for his guest roast with my son as soon as we can coordinate schedules. I've been picking up a bag of blend at the same time as a single origin. Blends are usually coffees the the roasters have combined to achieve their own idea of perfection. When someone really knows coffee he or she will know what works together and be able to give you a combination that is better than the individual parts. 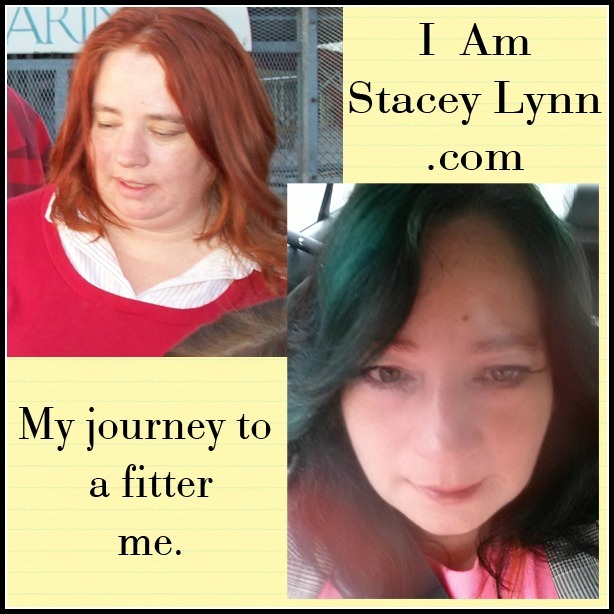 I had looked over some of the blends on the website and was leaning towards the cadence blend. I asked the young man who helped us what his favorite blend was and he said Cadence, so that cemented my choice. 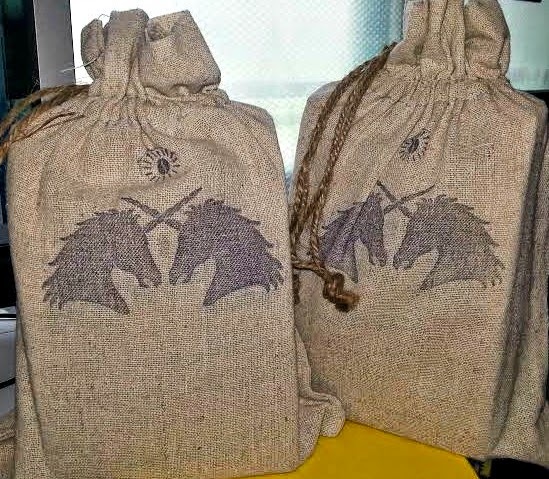 I also chose a bag of Ethiopian Sidamo which gets it's own review. Cadence is a blend of medium roasted Latin American coffees. Perfect for drinking anytime, anywhere. That's what the bag says. :-) It's also a 16oz bag, not a 12oz which I'm seeing less and less often these days. Cadence is a very smooth and relaxed coffee. A great coffee for the morning. Right now it's one of my favorites to have with breakfast. It has a nice body with a brightness, but not too bitey or sharp. It's very balanced. There is a sweetness to it, but not overly sweet like a dessert coffee. Hints of spice and cocoa with a little bit of a nutty taste. 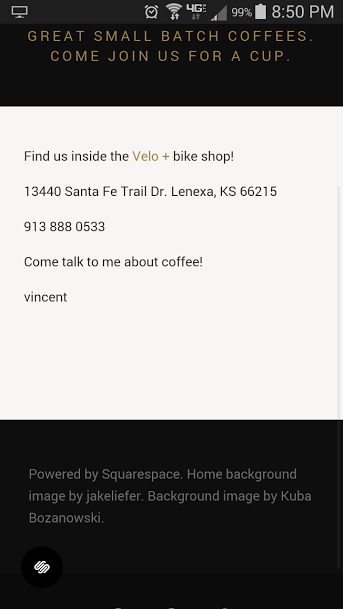 Vincent means it when he says come talk coffee. He worked at Starbucks for 18 (I think that's what he said) years and now roasts his own. He knows his coffee and can explain the science behind the art. He also said "bikes are freedom" and his love for them is evident in the beautiful creations around the shop. Anyone who lives his passions like Vincent does is fascinating and their love always shows through into the product. I really enjoyed talking to him & learning about his roaster. It's a Loring Falcon 15k and is really a beautiful machine. My older son & I will eventually get a chance to do a Guest Roast - if you're in the area give it a try. I'm thinking of it as my mid year birthday celebration. My birthday is Dec. 21 and it's hard to get people to do anything that close to Christmas, so I celebrate some other point during the year. A guest roast would be a wonderful way to do my birthday! I'm playing catch up with my reviews. I have them written, but have been just awful about posting them. This is a good example of that. I drank this coffee during the last week of February and the first week of March. It's nearly the end of March and I am just now posting about it. I ordered this one on a whim. I was actually searching for a facebook friend's old, unused page dedicated to barefoot running. He's the Maple Grove Barefoot Guy. His page hasn't been used since 2012 - so go like it and freak him out a bit. LOL Anyway, I got distracted with Barefoot Coffee Roasters came up in the search - I ordered coffee and called it a night. 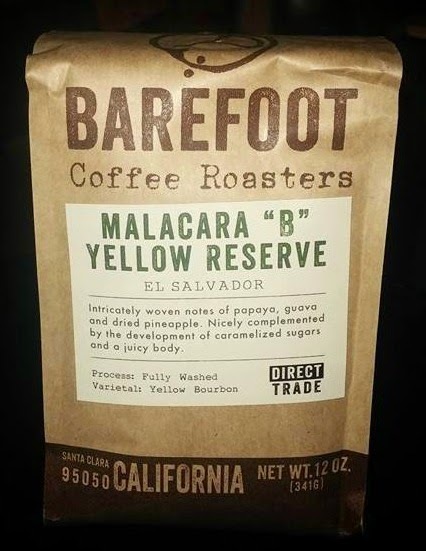 I ordered the Malacara "B" Yellow Reserve because it had been awhile since I had a coffee from El Salvador. 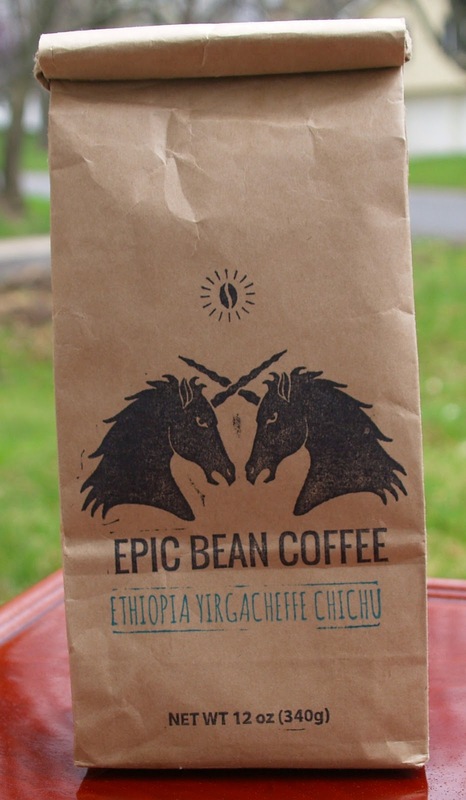 I'm partial to Ethiopian coffees and sometimes I forget to be adventurous. This one has a suggested brewing method of pour over which was perfect for me. That's how I fix my morning coffee every day. It was bright and lightly sweet with tropical overtones. There was a darker sugar taste as the cup cooled. Kind of like pineapple that's been dried out a bit and the natural sugars are concentrated. It had a friendly body. 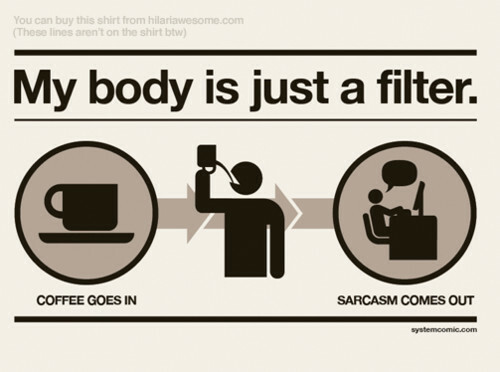 I know friendly isn't a "coffee" term, but I'm not a pro - just someone who loves coffee, so it works for me. 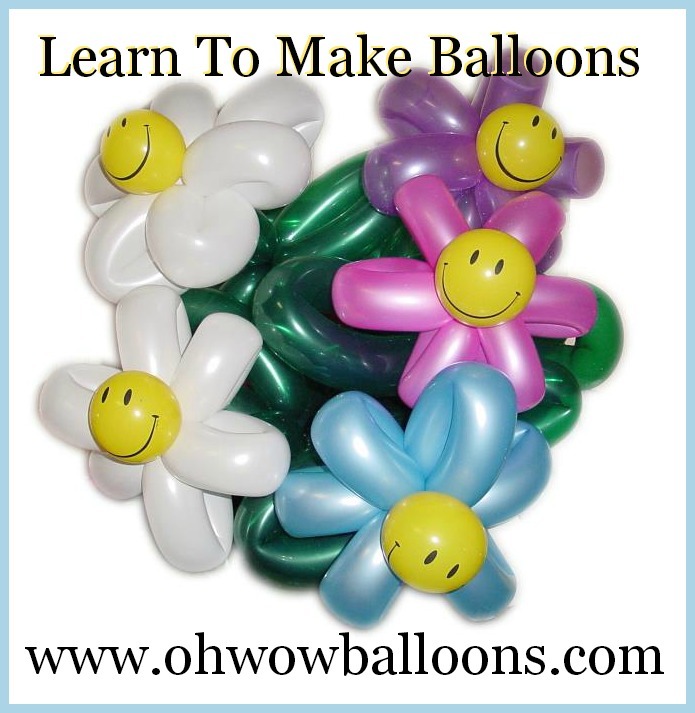 Friendly is when it makes your mouth happy and maybe a little giggly. The shipping was super fast and they sent me a tracking notification. Not everyone does that. I can get a bit obsessed with tracking packages, so it's always a plus when I have one. 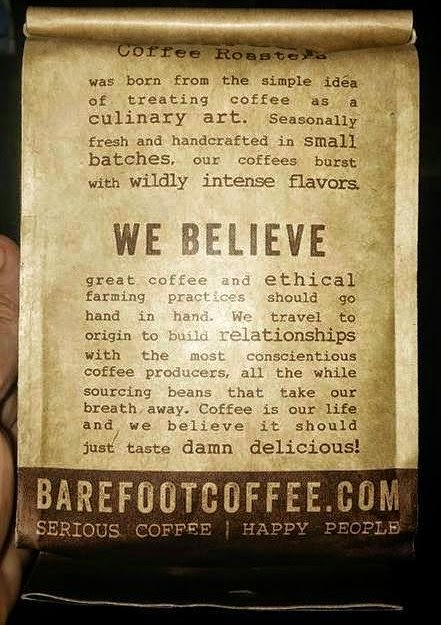 As always I have a ton of coffees I want to try, but Barefoot is on my list for a repeat bag. They have a couple of offerings that I would love to try. I'm trying to sample beans from roasters in all 50 states. It's the end of March and I have had coffee from 9 states. Obviously MO & KS were easy and I've had several from both. Here's my map so far - if you have any suggestions send them to me!